With the amount of rain that we have received and with more on the way those farmers with their crops in the field will be unable to use ground equipment to apply the chemicals that they need to apply to bring along this year's crop. 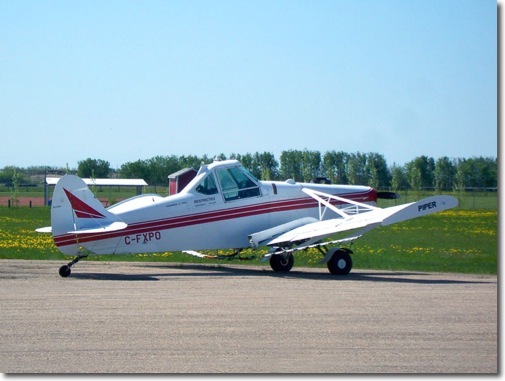 This morning Brennan Jardine from Nipawin moved his Piper Pawnee to Tisdale in anticipation of orders to begin aerial application as the crop in the Tisdale area is up and in many cases will need spraying shortly. 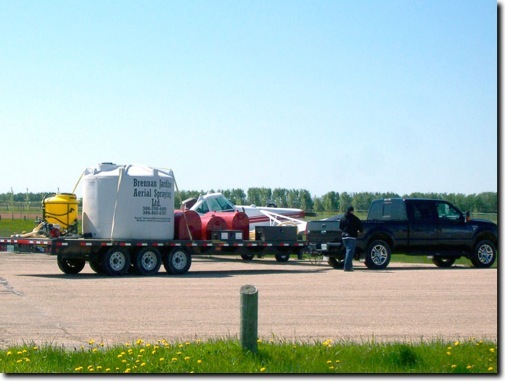 Brennan said that he has had a number of inquiries and felt it was time to get the equipment in place and all the details looked after to be ready for this year's spraying season. You can e-mail Brennan Jardine by clicking on his name or give him a call at 306 862-6701.